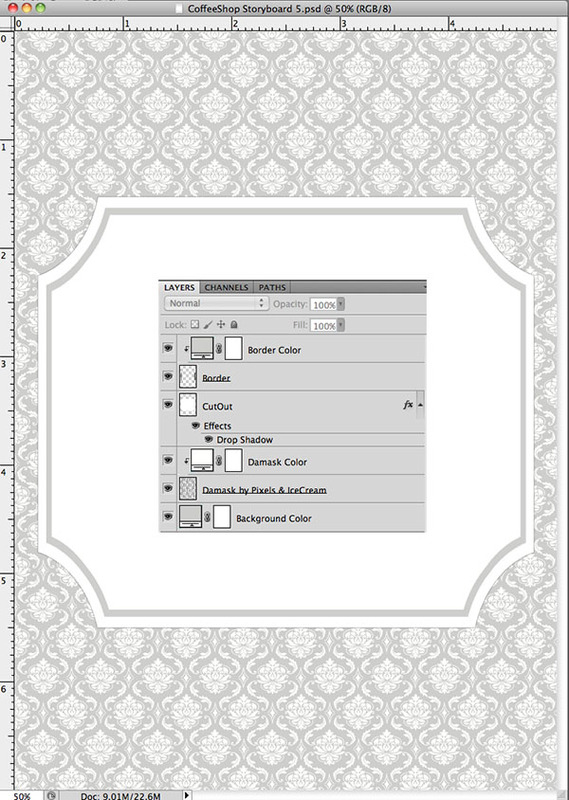 The CoffeeShop Blog: CoffeeShop Damask Storyboard 5! Here is my newest storyboard/frame, the CoffeeShop Damask Storyboard 5! I loved this damask pattern I found over at Pixels & IceCream and thought it would look perfect in a simple storyboard. This storyboard is 5x7 inches and can be used for print or on your website or blog. You can also change the colors (click on Background, Damask, or Border Color) or move the middle CutOut around (select the top three layers together and then Ctrl-T and move them wherever you want). 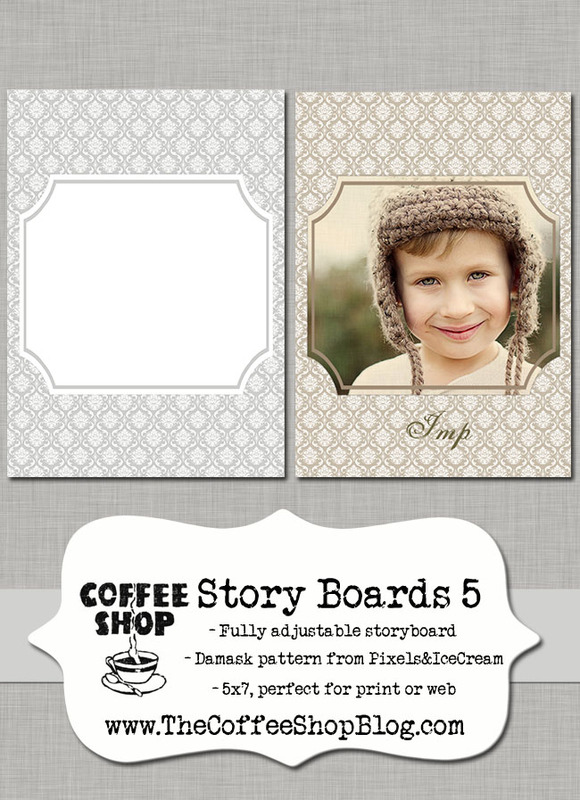 Download the totally free CoffeeShop Storyboard 5! If that link does not work, you can download it here. This is so beautiful! thank you, Rita!! Thank you so much for this post. I want to let you know that I posted a link to your blog in CBH Digital Scrapbooking Freebies, under the Page 2 post on Oct. 25, 2011. Thanks again. Gorgeous! Can this be saved/used as an atn file? I only saw it as a psd. And is there a tutorial for using it? Kellie, this is not an action! So it has to be opened like any other image. And I have some info on the post about how to use it, and also tons of storyboard tutorials on my blog. Hi Rita! Love your stuff!! Have a question, I am not great with PS, so please excuse! lol! I have no idea how to change the background colour! Your flickr group is locked, so thought this would be the best place to ask.